To extend the life and beauty of your window treatments, blinds, shades and shutters, Blinds Plus offers professional cleaning services. Let our team of cleaning professionals make your window treatments sparkle again. We utilize a highly effective UltaSonic cleaning method with specialized cleaning chemicals for the most effective and thorough cleaning available. 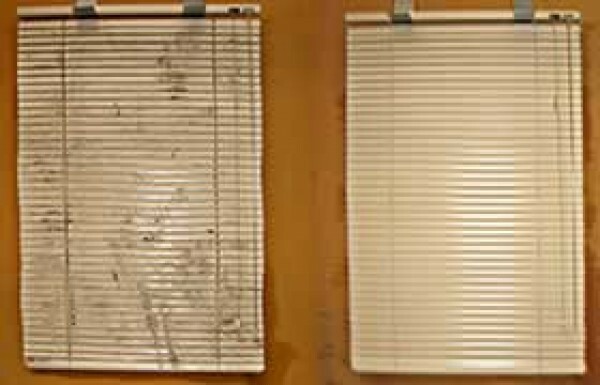 Blinds Plus offers cleaning and repair of blinds, but as with everything time takes a toll. Parts and pieces may not be available. Colorfast dyes may have failed. Manufacturer's are no longer in business. Warranties may no longer be valid when the manufacturer is no longer in existence. We may go to record a blind or shade and a cord lock breaks. Since no cord lock is available due to the age of the blind, we cannot finish fixing the blind. The broken part has now made the blind non - functional and not usable. We may dip the shade in the ultrasonic cleaner and the dye has failed with age. 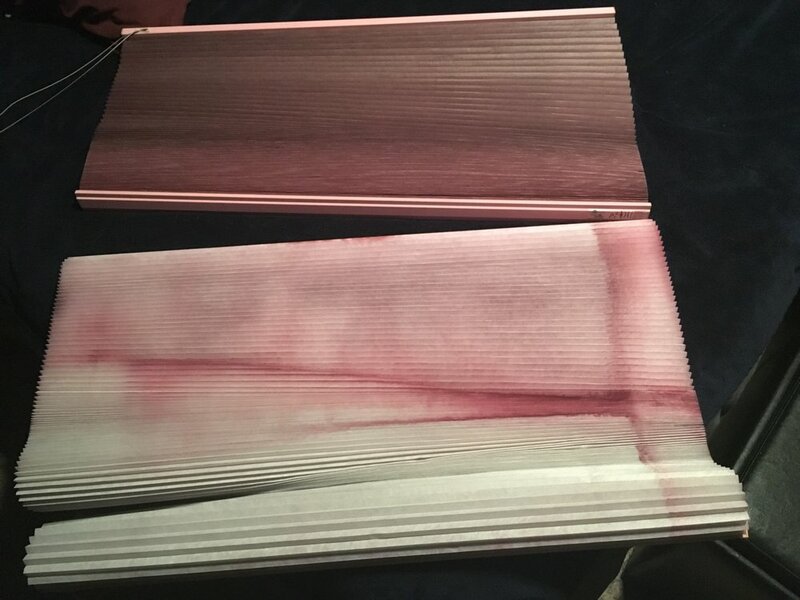 We have to be clear that the only way we can take your window treatment, blind or shade, in for cleaning or repair, is with a full understanding that we are doing so "AT THE CUSTOMER'S SOLE RISK". We ask that this be acknowledged by signing our Repair and Cleaning Waiver which clearly states this requirement. If there is any qualification of equivocation in the customer's mind, it is best that we are not asked to clean or repair their blind. We will not buy a replacement blind or any other blinds adjacent to this blind that may be in the home. We will do our best to inform you of potential risks, but some risks are unknown and signs of imminent failure may or may not be visible prior to commencement of the cleaning or repair. We are happy to refer you to alternate clean methods and suppliers that may or may not be able to clean the product for you via alternative methods. We clean and repair "AT THE CUSTOMER'S SOLE RISK"
16 YEAR OLD SHADE WHERE THE DYE HAD FAILED WITH TIME. AS SOON AS IT HIT THE ULTRASONIC TANK THE WATER TURNED PINK.